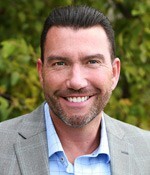 Michael White is the Director of Sales at Valiant Solutions. Mike joins Valiant with an extensive background in strategic sales, with a focus on generating and sustaining revenues in highly competitive corporate markets. Mike has over 25 years experience in solution selling payroll and workforce solutions, and has been responsible for aligning solutions for customers within their business needs.